Antique town view of Bavaria, Wangen. 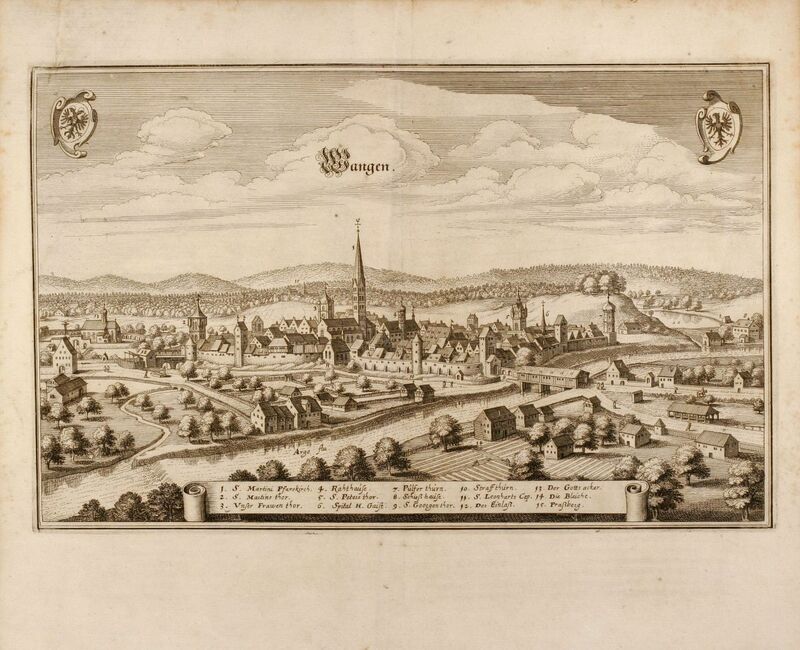 Printed in Frankfurt circa 1650. Engraving of Wangen / South Germany from Topographia Suevia by Matthaeus Merian. Good strong impression in excellent condition.